Okay, they're not from the same card but you get the idea! UPDATE: If you want to put a decoration on top of the paint, please use paint or a paint pen and NOT ink! 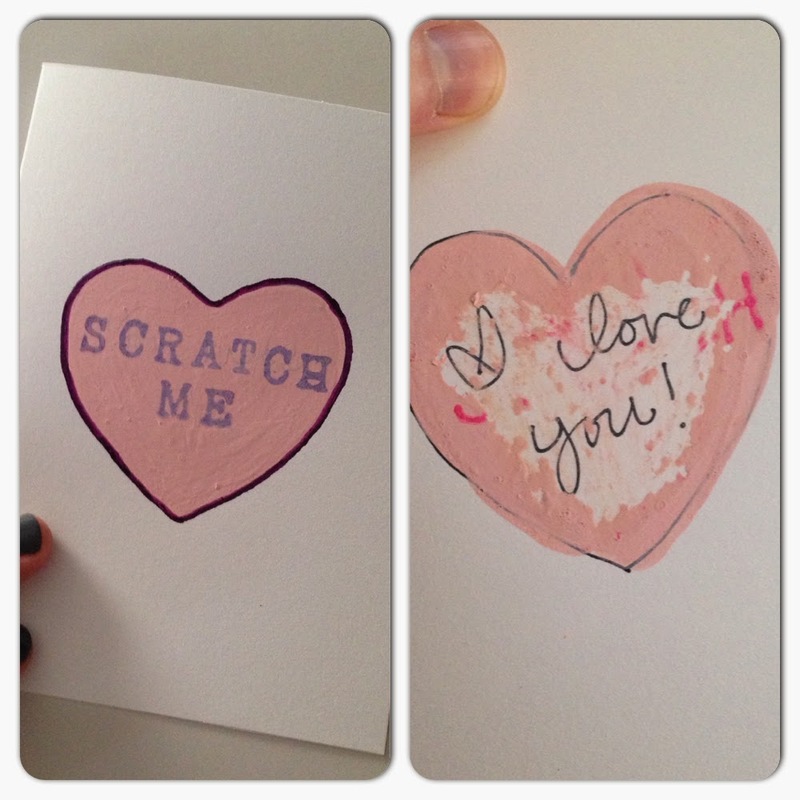 Ink will seep through the paint onto the cardstock and over the message. I learned the hard way ON LIVE TV. So. Embarrassing. LOL. Here I am on Good Morning Chattanooga making these cards with Lauren! 1. 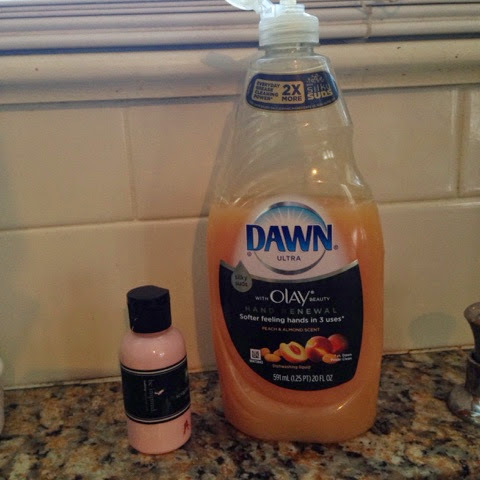 Mix two parts paint with one part dishwashing liquid. 3. 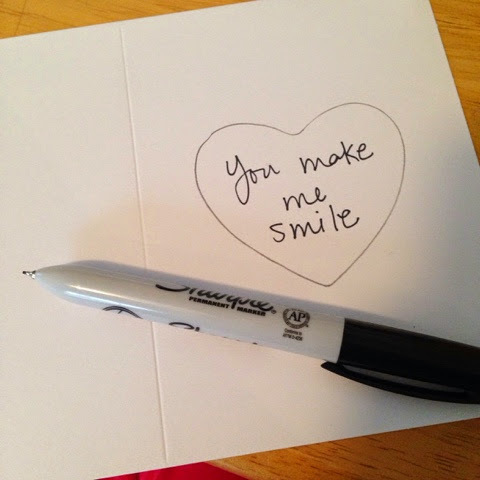 Write the secret message you want your Valentine to discover with a Sharpie pen. 4. 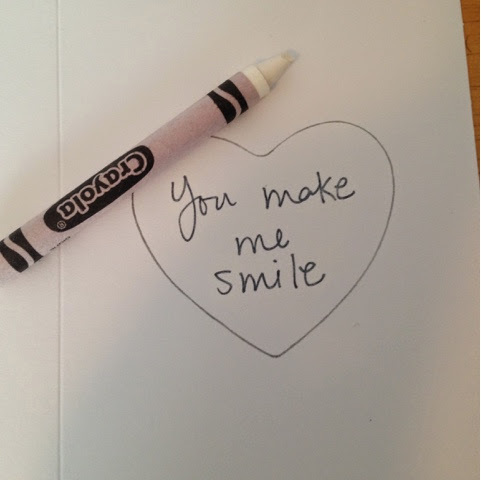 Cover the message with a white crayon. It's not necessary to color in the entire heart--but make sure you cover the words well. 5. 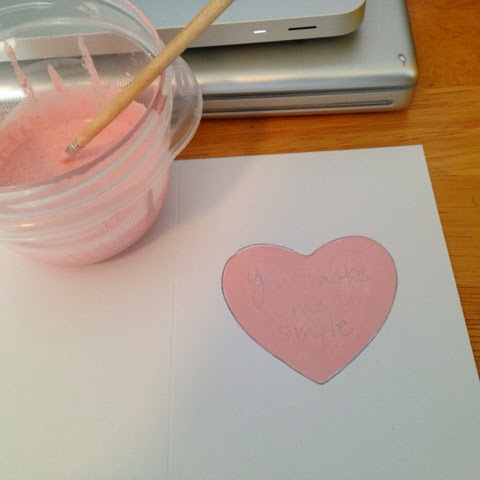 Paint in the entire heart with the paint/soap mixture. Dry and paint again until the message is completely covered. Depending on how light your paint color is, this will take 2-3 coats. Be sure to let the paint dry in between coats (it only takes a few minutes for one coat to dry). 6. 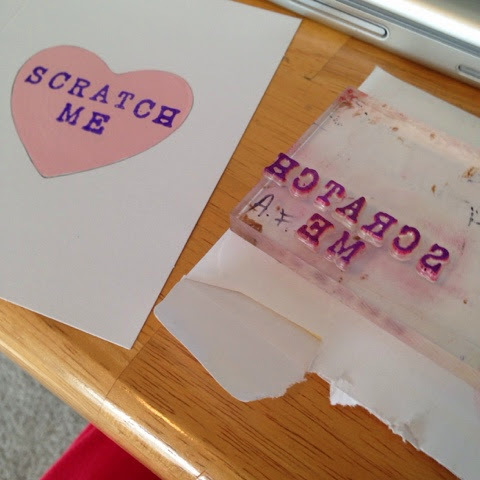 I used an alphabet stamp set to stamp the words "SCRATCH ME" on top of the dried heart to make it look like a conversation heart candy. 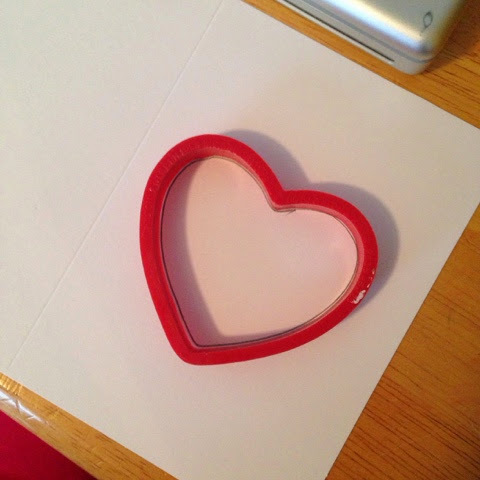 I outlined the outside of the heart with a purple paint pen. 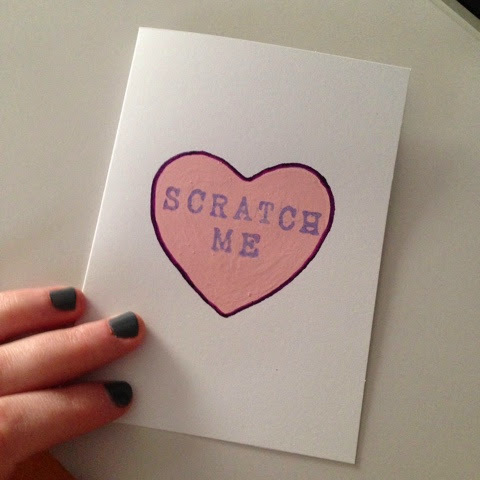 Sophie's wanting to make Valentines instead of buying them. This would be a super fun and easy project for us to do. Thanks for the post! !